If an Australian psychiatrist and his team have their way, your online addictions may be labeled "pathological internet misuse." 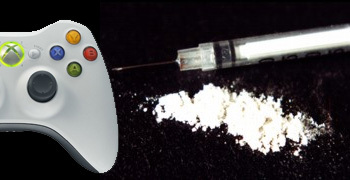 We've all heard talk of people being addicted to the internet and videogames, but usually this is a figure of speech. However, a psychiatrist out of Australia - and a team of other mental health professionals - is trying to get "pathological internet misuse" saddled as an official mental disorder. "International mental health experts are considering including 'video game addiction and internet addiction' in the next edition of globally recognized Diagnostic and Statistical Manual of Mental Disorders 'to encourage further study'. The exact term they are using is 'pathological internet misuse.'" Although there aren't any specific numbers given, it's implied that a majority of mental health professionals support this move. The story includes a testimonial from a mom who claims her 13-year-old son is so addicted to World of Warcraft that he's skipped school and "violently resists" all attempts to get him to stop playing the game (including punching holes in the walls). Apparently nobody told this woman that she's the parent in this situation. My favorite part of the story, though, is when Jocelyn Brewer (a part of Tam's "expert group") states that "girls also could 'become obsessed with Facebook'." I didn't realize that Facebook addictions were gender exclusive.